In today’s world, every penny being spent is heavily scrutinized. Major acquisition and procurement offices are being forced to reduce costs and do more with less as budgets get slashed. So how can programs continue to run successfully if the money they planned for simply isn’t going to be there when it comes time for them to spend it? This is a situation where” Should Cost” Analysis (as opposed to “Will Cost” Analysis) can come into play. As a cost analyst, “will cost”, produced in the form of a Program Life Cycle Cost Estimate (PLCCE), is what we typically provide to the program office we are supporting. Developing and updating a PLCCE requires an intimate look at a program in order to get an adequate understanding of what costs should be included in an estimate and how these costs should be estimated. An analyst must first define the estimate’s purpose and scope, form an estimating plan, establish a technical baseline, identify ground rules and assumptions, collect and normalize data, develop methodologies, and conduct risk analysis. All of this is done with the help of historical data, analogous systems, cost estimating relationships, and subject matter expert (SME) inputs. The only problem here is that this “will cost”, once completed and approved, may simply be accepted as how things are going to transpire throughout the life of the program, acting as a sort of “self-fulfilling prophecy” for costs. This is a huge problem, especially today when so many organizations have issues with continuous cost overruns and increasing budget cuts. Why would programs want to continue digging themselves deeper into a hole and continuing on at status quo? If the effort was taken to deep-dive into the estimate and scrutinize each cost element, there is a good chance there could be savings found. This is exactly what “should cost” analysis does, and the cost analyst can aid the program office with this effort as well. Estimating the “should cost” requires an in-depth look at the costs of a program to see where inefficiencies may exist. The analyst, with the help of SMEs, can investigate ways to do things differently within the program and potentially realize some savings. “Should cost” forces a program to question areas that would otherwise be accepted from the “will cost” estimate. 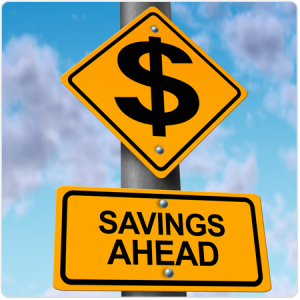 Indeed, a small percentage of annual savings for a program with a multi-million dollar budget can add up to significant savings across a program’s life cycle. While “should cost” analysis was developed by the DoD, it is just as beneficial of a tool outside DoD. No matter the program type or size, there will always be benefits to finding potential cost reductions. However, once an analyst completes the “should cost” analysis, the work is not done. In order for the identified initiatives/savings to be realized, it is ultimately up to those involved with the program to ensure that these changes are implemented and the correct actions are taken. When used to its full potential, “should cost” analysis can be a valuable tool for getting out of the unproductive “will cost” self-fulfilling cycle.